Savannakhet or Kaysone Phomvihane (Lao: ໄກສອນ ພົມວິຫານ; Thai: ไกสอน พมวิหาน) (population 120,000) is a city in western Laos and the capital of the Savannakhet Province, previously known as Khanthabouli (ຄັນທະບູລີ). This is the second-largest city in Laos, after Vientiane. The city is birthtown of Kaysone Phomvihane, former president of Laos, and was named after him in 2005. Although the old French colonial quarter of the town, along the Mekong River-front, is depressed and crumbling, the town's proximity to Thailand's booming economy has brought about new commercial development in the northern part of the town, near both the river crossing and the bus terminal. 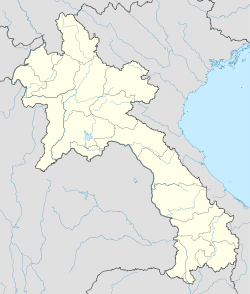 Like all Lao cities, Kaysone Phomvihane has a mixed population of Lao, Thai, Vietnamese and Chinese, as well as minority peoples from the Lao interior. It has a large 15th century Buddhist temple, Wat Sainyaphum, a Chinese temple, a Catholic church and a mosque. The Second Thai–Lao Friendship Bridge over the Mekong connects toMukdahan Province in Thailand. The two-lane, 12-meter (39 ft) wide, 1,600-meter (5,250 ft) long bridge, opened to the general public on January 9, 2007.